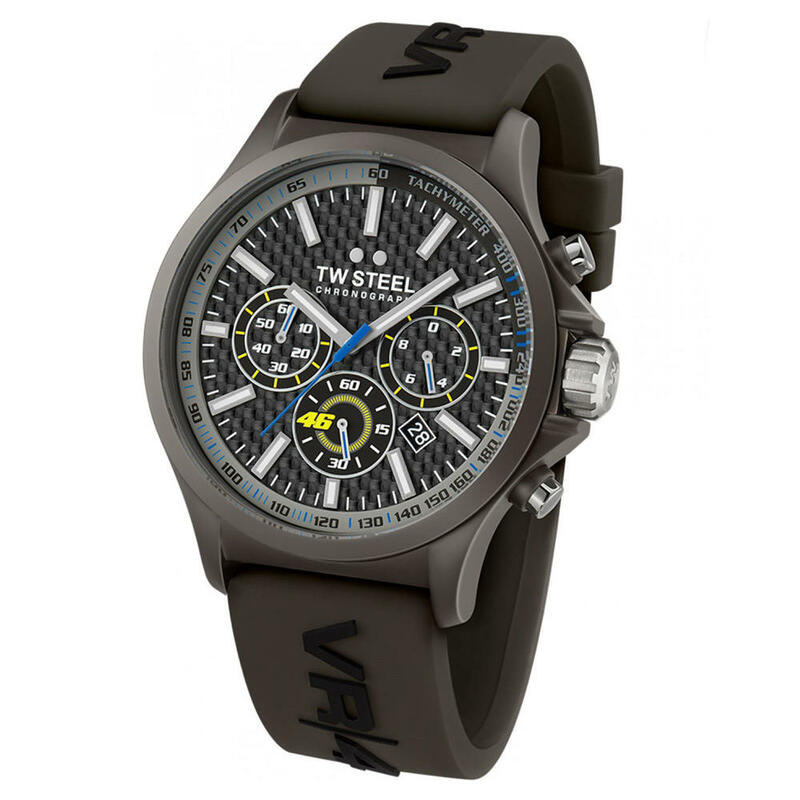 Steel case with PVD dark titanium coating, on dark grey silicon strap with VR46 logo. 45mm £295 - Save up to £54 (15% discount) RRP £349.00. 48mm £311 - Save up to £54 (15% discount) RRP £365.00.